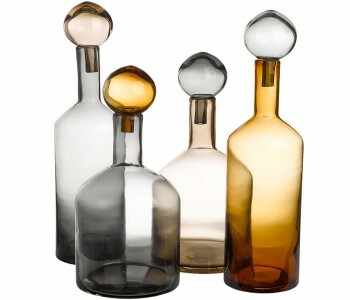 The playful Bubbles&Bottles set of bottles from Pols Potten comprises four unique water bottles with stoppers that bring a fresh, contemporary style. Each transparent glass bottle is produced in an individual clear colour. You can make endless combinations and variations of the different colours. You can use the set in various ways. For example as water bottles, carafes, or vases. Order this fun gift to brighten up your home, or as a stylish present for any occasion. 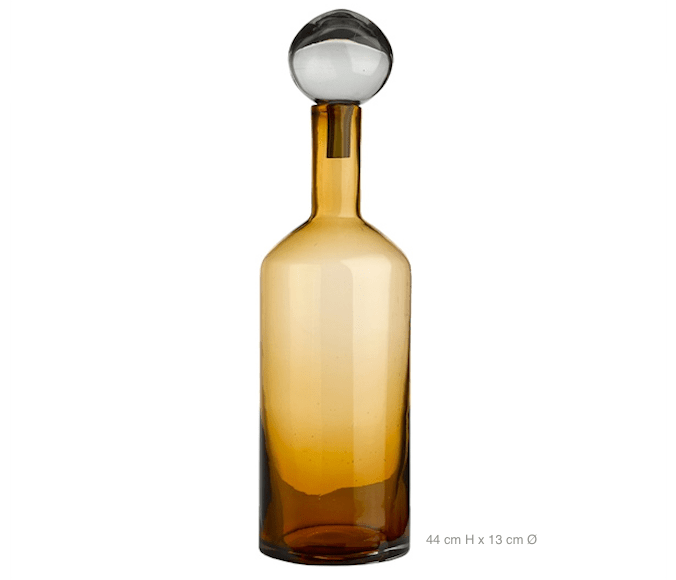 Looking for an elegant glass water bottle that is as practical as it is beautiful? 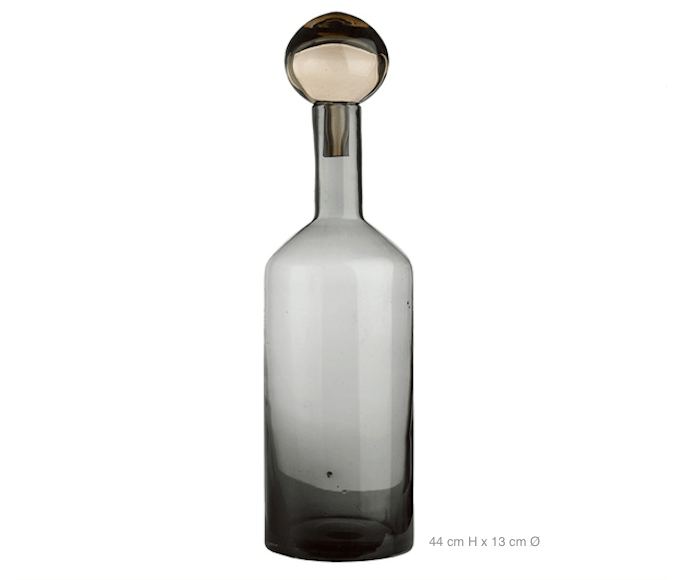 That's exactly what you've found with the Bubbles&Bottles bottle set from Pols Potten. 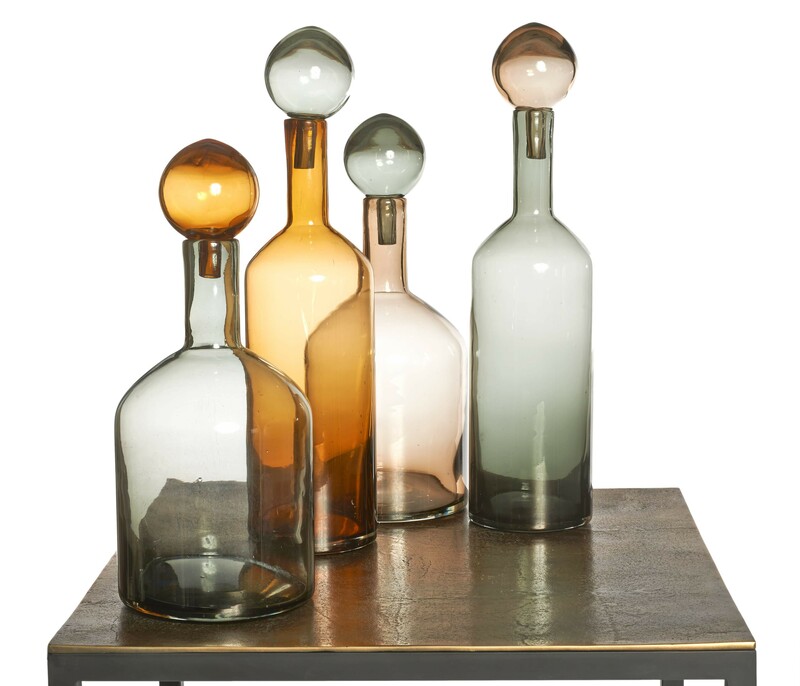 This colourful set gives you not one, but four lovely bottles, providing endless variations in your living space. On the table as a water bottle or on the cabinet as decoration, or as a vase. 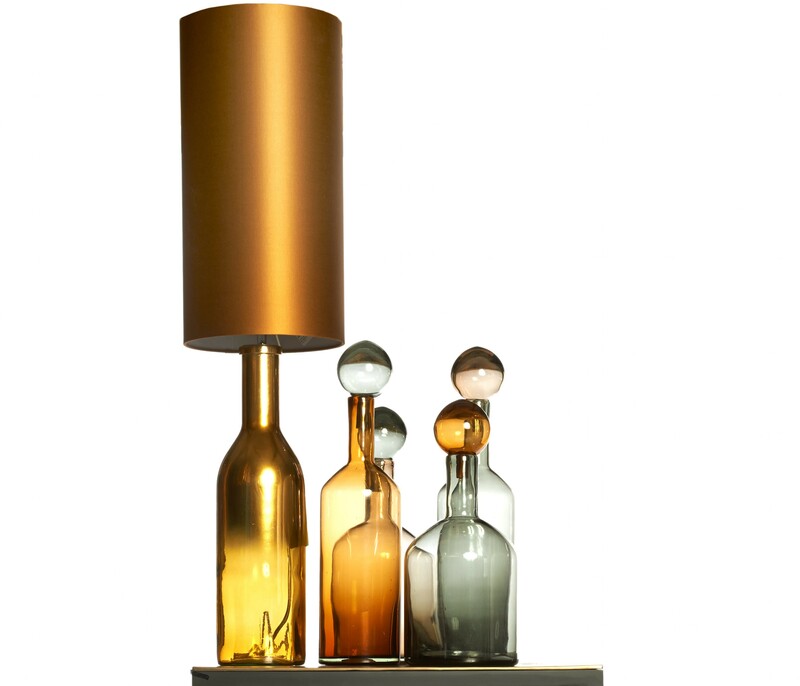 The set is divided into two types of bottle, a smaller version with a broad body and shoulders and the contrasting slim version which is taller with narrow shoulders. The neck is the same width in both versions so you can use the Bubbles (stoppers) interchangeably. 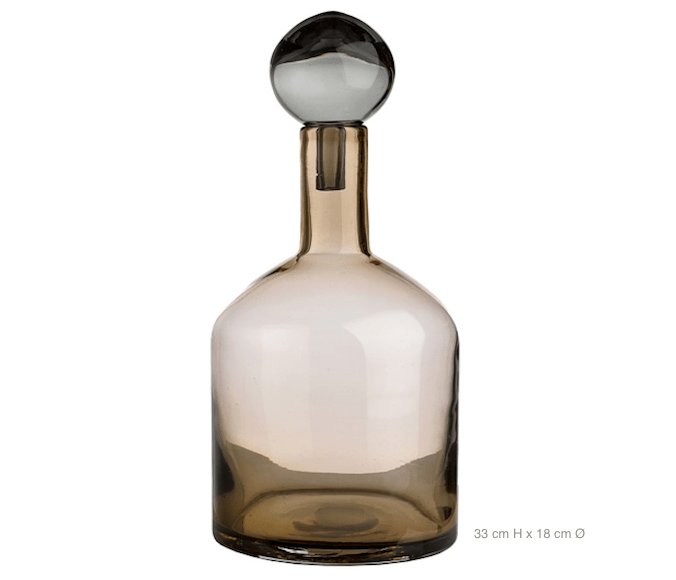 The Bubbles&Bottles bottles from Pols Potten come in subtle colours brown and grey. Bubbles&Bottles bottles have many practical uses. They are also easy to keep clean. 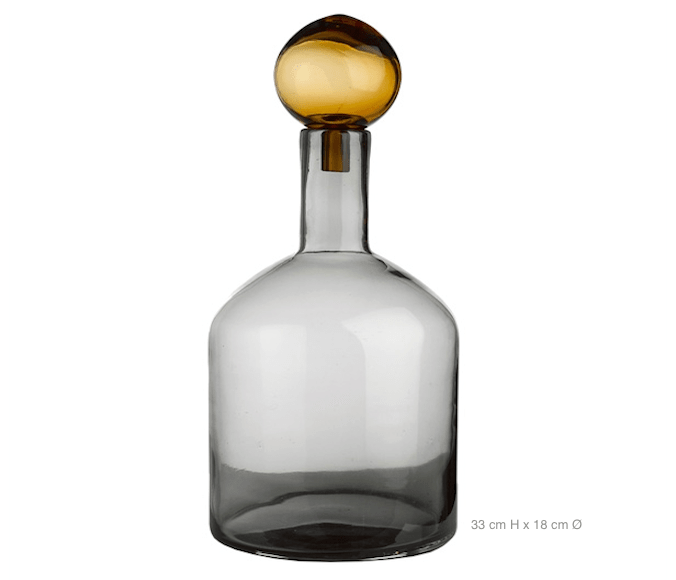 These bottles are also available in bright colours.